Monica Barron is a queer writer, editor, and teacher living in Missouri. She is a member of the Feminist Teacher editorial collective working as a development editor and is also part of the Council of Independent Feminist Journal Editors. 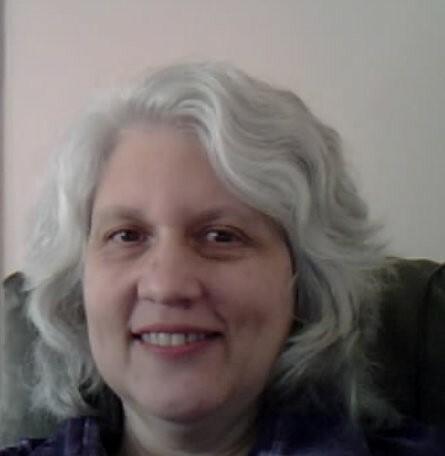 She has published poems in Rosebud, Naugatuck River Review, The Chariton Review, Poet and Critic, The Briar Cliff Review, ArtWord Quarterly, The Lucid Stone, Ploughshares, Cincinnati Poetry Review, Women’s Review of Books, and the anthology Times of Sorrow, Times of Grace among others. Her prose has appeared in Academe, Exposures: Essays by Missouri Women, and wordpeace. She teaches in the BFA program in Creative Writing at Truman State University and would very much like to see wordpeace develop into a go-to site for nonfiction. Ciona Rouse is the author of Vantablack (2017), a chapbook published by Third Man Books. Her work can be found in Native Magazine, Gabby Journal, Matter: a journal of political poetry and commentary, and Talking River. She lives in Nashville,Tenn., where she curates many poetry experiences, including a 5-year-old reading series at Barnes & Noble at Vanderbilt. Russ Taylor is an artist and a photographer whose credits include three book covers, author photos, and a featured article with National Scholastic. He has displayed his photography at art venues and collaborates with local artists to combine writing and photography. He also does digital painting and is currently working on a graphic novel based on a short story.